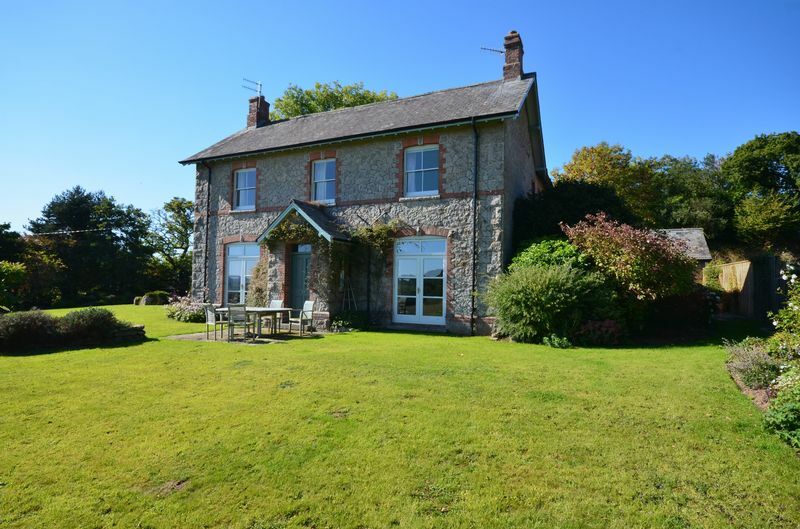 Uppacott House was built in 1899 and is a fine example of a Lord Hambledon farmhouse with exposed granite walls and red brick quoins. 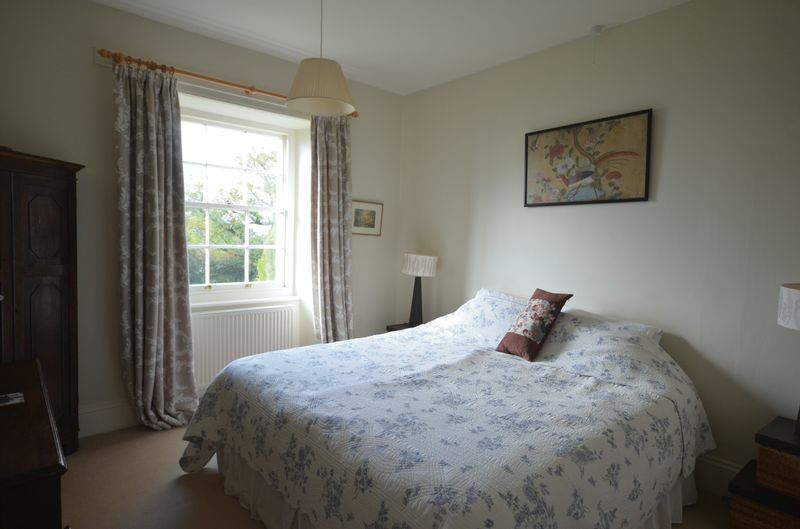 It is spacious, in excellent decorative order and enjoys lots of lovely natural light to all rooms through the large sash windows and French doors. 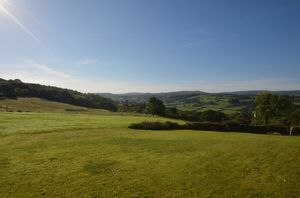 The property has spectacular views across its own fields to Haytor in the distance. 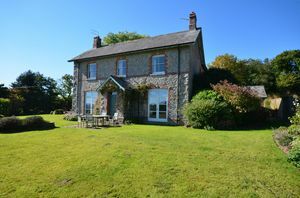 The accommodation comprising an entrance porch, boot room, boiler room, an interconnected farmhouse kitchen with Aga and family room, a big sitting room and a separate lounge on the ground floor. 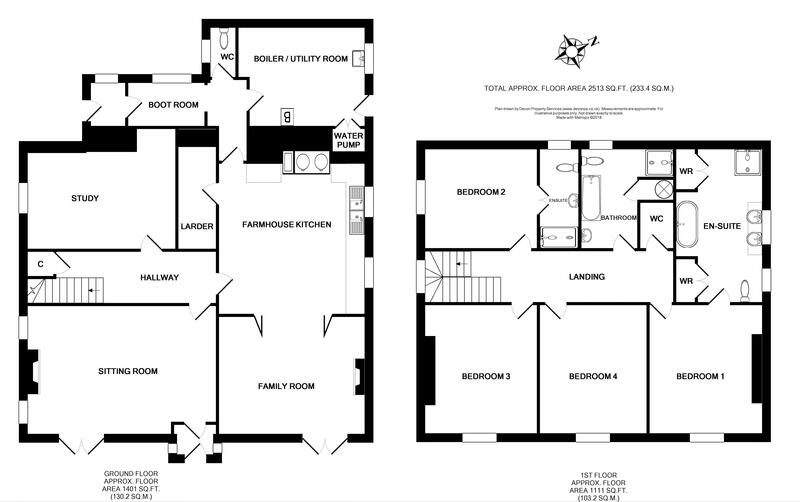 Upstairs the bright landing has access to the four double bedrooms with two smart ensuite bath/shower rooms and an upstairs w.c. The house has oil fired central heating. 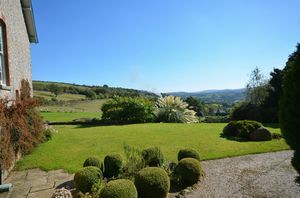 The gardens extend to about an acre with iron railings between the garden and the field in front of the house. In all the property has about 10 acres. In the garden is a leisure area with a hot tub built in and a children's play area. 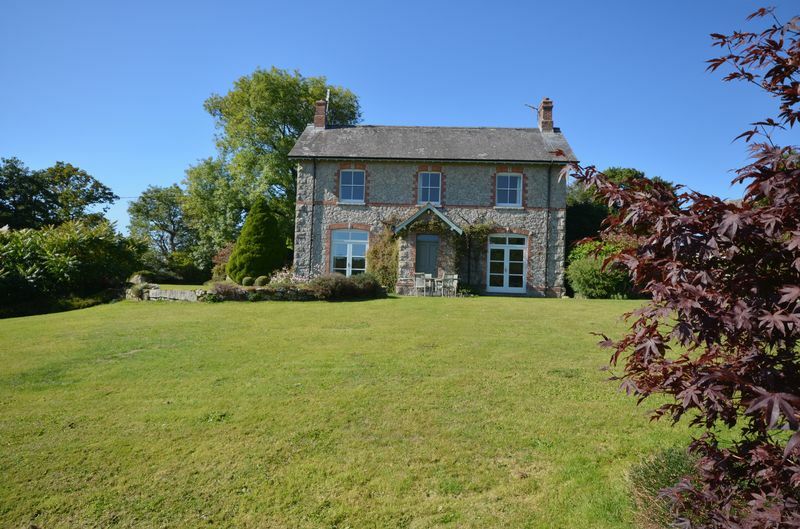 Fowlers very strongly recommend viewing this lovely home. Uppacott House is in Chagford Parish and is about 2.25 miles from the ancient Stannary Town of Chagford. 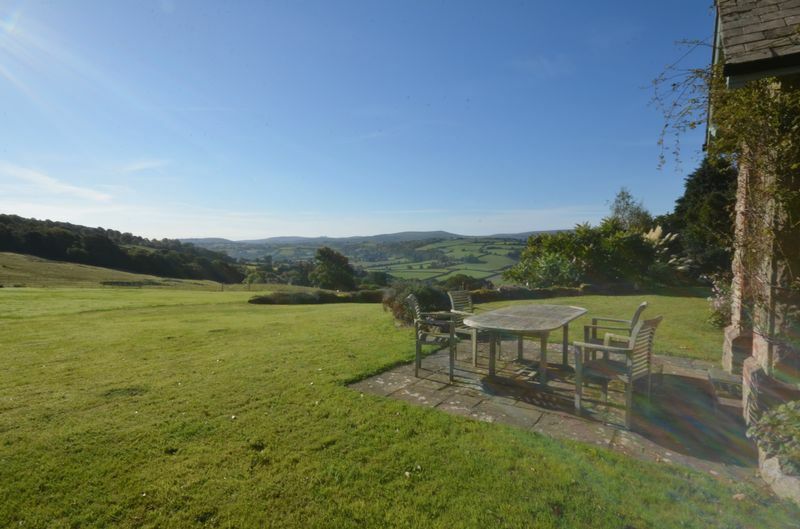 It sits in an elevated position with stunning views over its own garden and fields of about 10 acres, across the Dartmoor countryside to Haytor in the distance. Uppacott is a small settlement of about eight homes. 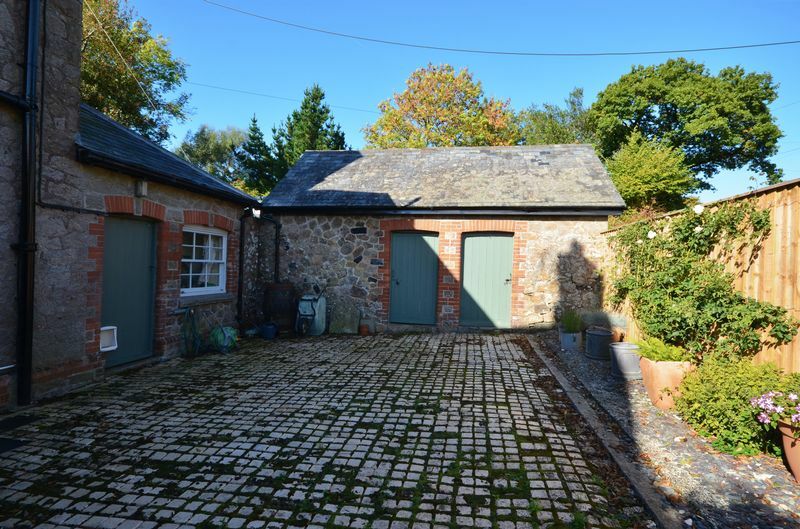 Nearby Chagford has a lively community with all age groups. It has a brand new primary school, a pre-school and a Montessori, a parish church, RC church and chapel and a wide variety of day to day and specialist shops. There are four pubs in the town and a number of cafes and restaurants. 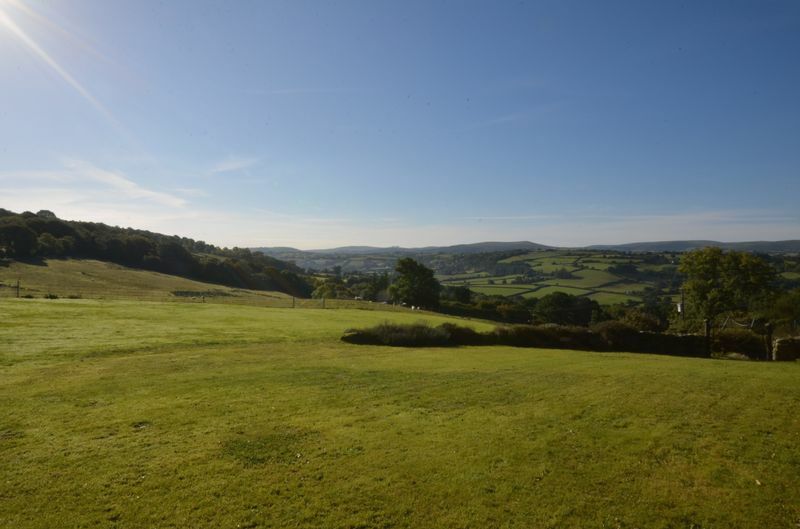 The whole area is criss crossed with countryside and riverside walks and there are good sports facilities with a football and cricket pitch, a bowling club, tennis club, skate park and an open air swimming pool in the summertime. 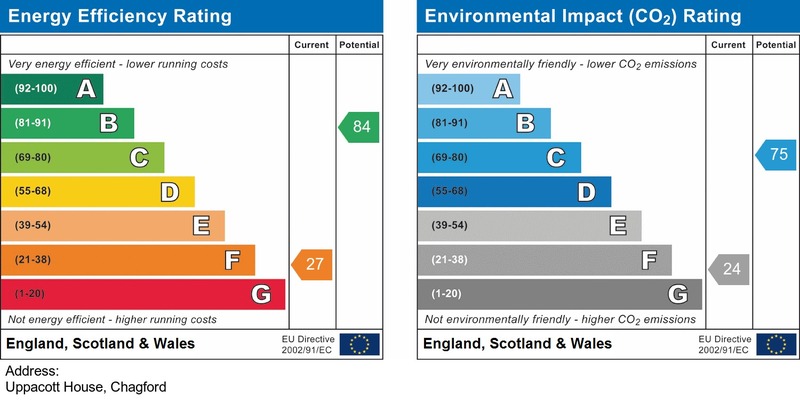 Exeter is about 20 miles away and the A30 dual carriageway is about 5 miles. 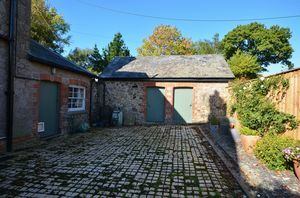 The property is entered through a granite walled visibility splay and a metal gate which leads to a curving driveway through the gardens to the gravelled parking area where the side porch is located. A single glazed part panelled door leads into the clay tiled porch which has a rear window, a pendant light point and a solid timber door into the entrance lobby. Designed for coats, wellies and wet dogs, this lobby has a clay tiled floor with a mat well, a built in bench, wall mounted coat hooks and four downlighters. Doorways lead to the w.c., boiler room and farmhouse kitchen. A panelled door leads into the w.c. which has a fitted low level w.c., a wash hand basin with tiled splashbacks, a clay tiled floor, wall mounted chromed dual fuel heated towel rail and an obscured glazed rear window. 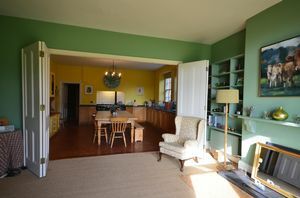 This spacious room has a clay tiled floor with lots of storage space, built in cupboards, plumbing for the automatic washing machine and space for a drier, a clay tiled floor, a floor mounted Trianco oil fired central heating boiler and timer, a sash window to the side and a broad panelled door with a cat flap to the yard. The water filtration plant is built into a tall cupboard adjacent to the side door and comprises a water ph balancing system, cotton filter and a UV light. A big, bright farmhouse kitchen with two large east facing sash windows for morning light and fold back doors to allow in southern light from the family room. 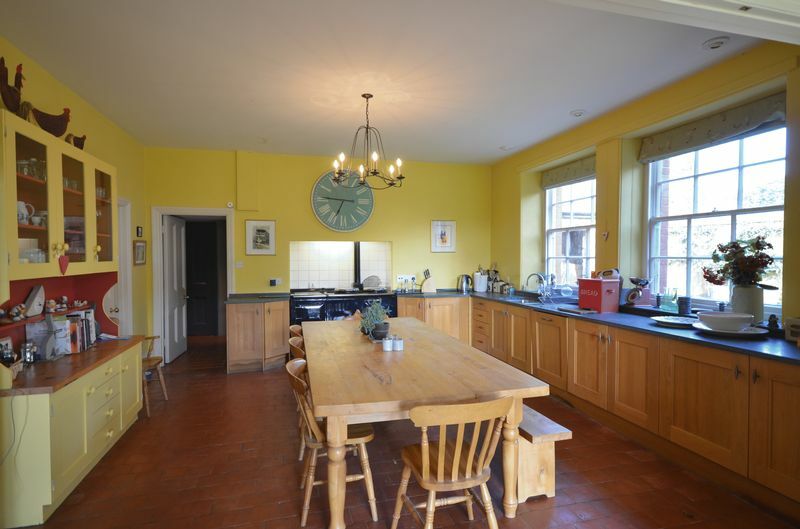 The kitchen has high ceilings and a clay tiled floor, a blue four oven oil fired Aga and a range of base and wall cabinets with oak doors and drawers and extensive stone worktops incorporating a stone drainer, sink and taps. A traditional dresser is built in with cupboards and glazed display shelves, there are three downlighters, a pendant light point and lighting above the Aga. A panelled door leads to the inner hall and a further panelled door leads into the walk-in pantry ( 11'2x3'11/3.43x1.19 ) with built in shelving and space for a fridge/freezer. Interconnecting with the farmhouse kitchen, this family room is bright with high ceilings and a large pair of double glazed French doors looking out to the garden, fields and towards Haytor. 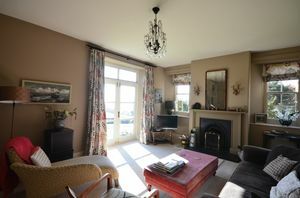 The room has a fitted Jetmaster grate with a slate hearth, built in book shelving and two double panel radiators. 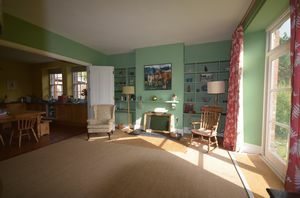 The inner hall is naturally lit by the big sash window on the half landing and there is a large understairs storage cupboard, a big single panel radiator and panelled doors to the sitting room and lounge. 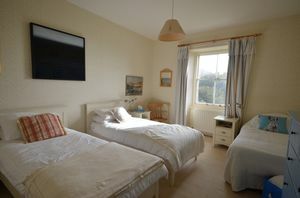 A generous and sunny room with a large pair of double glazed French doors leading out to the garden and with a glorious view over the garden and Dartmoor countryside to Haytor. 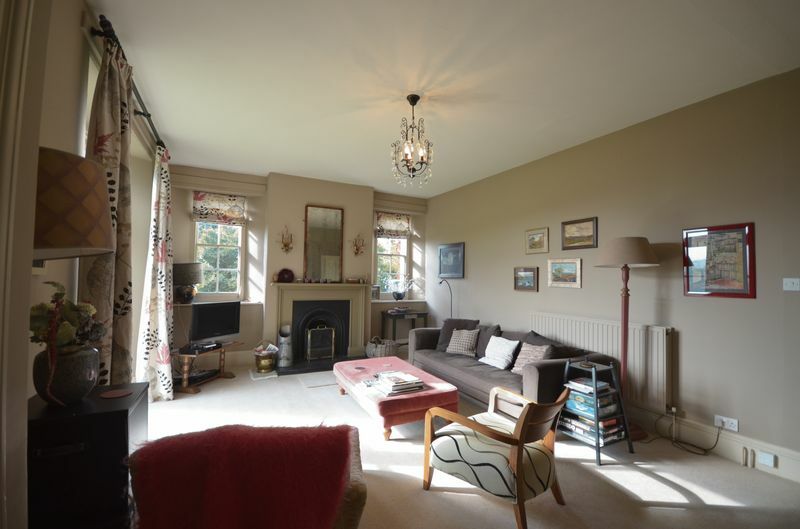 There is an additional sash window to either side of the fireplace which has a working open cast iron grate with a wooden surround and mantel shelf above a slate hearth. A double panel radiator is fitted, a TV point and a pendant light point. A glazed inner door leads to the front porch which is little used these days. The porch has a panelled front door to a front patio, a downlighter and a clay tiled floor. This room has a large south west facing sash window allowing in plenty of natural light. It has a tall ceiling, a pendant light point, TV point and double panel radiator. A long landing naturally lit from the large south west facing sash window set on the half landing. There are painted balusters and balustrade with varnished hardwood hand rails, a high ceiling, two pendant light points, a double panel radiator, panelled doors to all rooms and a loft hatch to the insulated loft void which has a light and fitted access ladder. 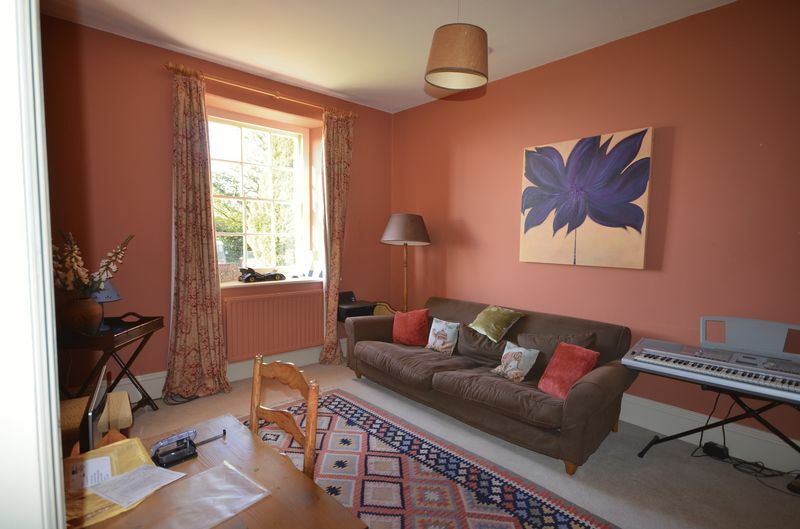 A bright room with a southern aspect and a large sash window looking to the view across the garden and field. 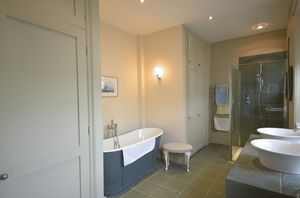 There is a double panel radiator beneath the window, a pendant light point and a panelled door to the ensuite bathroom. 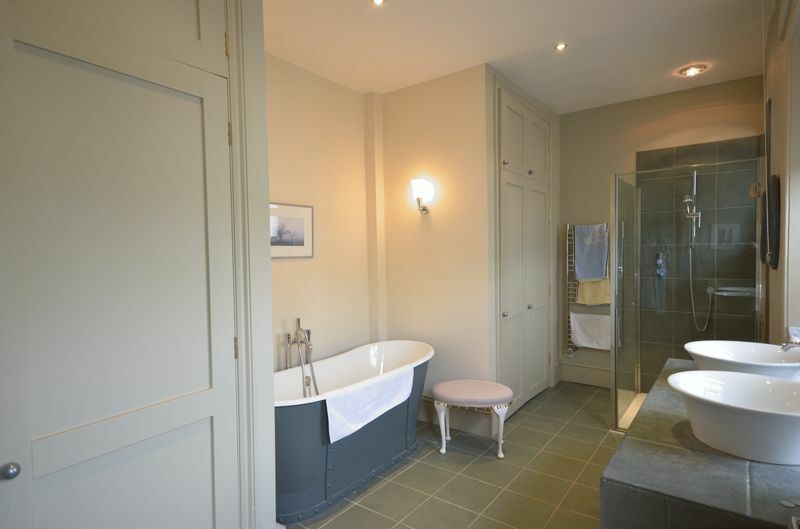 A very smart bath and shower room with built in closets for clothing and linen. 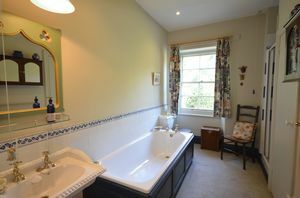 It has a tiled floor with underfloor heating, two large east facing sash windows plus an obscure glazed window in the shower stall. It is fitted with a painted cast iron bath with side mounted chromed taps and a shower wand, a glazed shower cubicle with two tiled walls and a built in thermostatic power shower, two table top porcelain wash basins on a tiled top with vanitary shelving beneath, a low level w.c., an extractor fan, five downlighters and two wall light points. Fitted with a low level w.c., an extractor fan and a double pendant light point. Incorporating a wide white pressed steel bath with a wooden side panel and dual brass taps. A shower cubicle is built in with fully tiled walls and a glazed shower screen door, a built in thermostatic shower with a downlighter and an extractor fan. A low level w.c. and pedestal wash hand basin are fitted, two downlighters and a pendant light point and a double panel radiator. A door opens to the hot water cupboard which has a large insulated cylinder with immersion heater and some shelving. This double room has a large south west facing sash window looking to the wooded part of the garden and to the far reaching views. 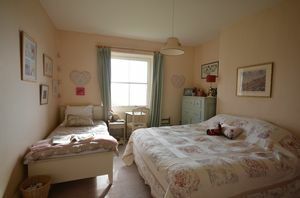 It has a high ceiling, a pendant light point, a double panel radiator and a panelled door to the ensuite shower room. This is fitted with a double width fully tiled shower cubicle with a glazed screen door and a rain shower head, downlighter and extractor fan. There is a low level w.c., a pedestal wash hand basin, a tiled floor, three downlighters, double panel radiator, a chromed dual fuel towel rail and a sash window looking out to the granite rocks in the rear garden. 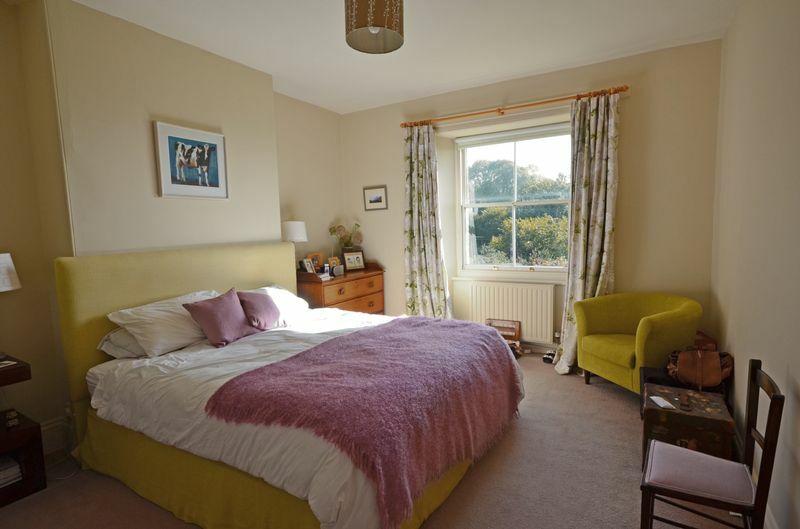 This front facing double room has a large sash window with a superb view over the garden and field to the dartmoor countryside. It has a high ceiling, pendant light point and a double panel radiator. 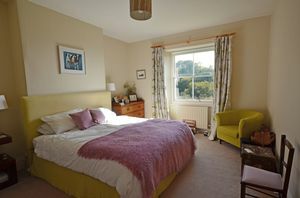 This front middle room has a great view over the garden and field towards Haytor through the large sash window. It also has high ceilings, a pendant light point and a double panel radiator. 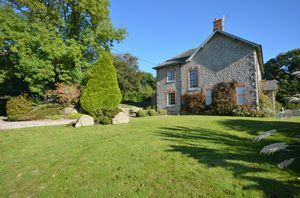 The grounds at Uppacott House comprise a wilder, wooded garden to the lower side of the drive, an area of natural granite boulders behind the house, gardens to the front and side and a large field. In all the property extends to about 10 acres. The entrance driveway curves from the entrance gateway around to a large gravelled parking area. To the lower side of the drive is a wooded area and to the upper side is an outcrop of very large granite boulders with a set of granite steps leading up onto the rocks. At the side of the house in front of the rocks is a gravelled and paved area with an ornamental parterre with shaped box hedges. 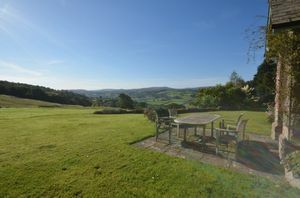 The lawn of the main garden sweeps around the front of the house and takes in the glorious panoramic views over the land and to Haytor in the distance over the Dartmoor countryside. 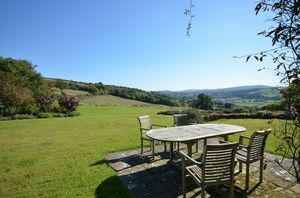 It is a spectacular view which can be enjoyed from the paved patio in front of the porch or from the landscaped wooden deck area where the hot tub is fitted and which is adjacent to a level area designed for children's play equipment. 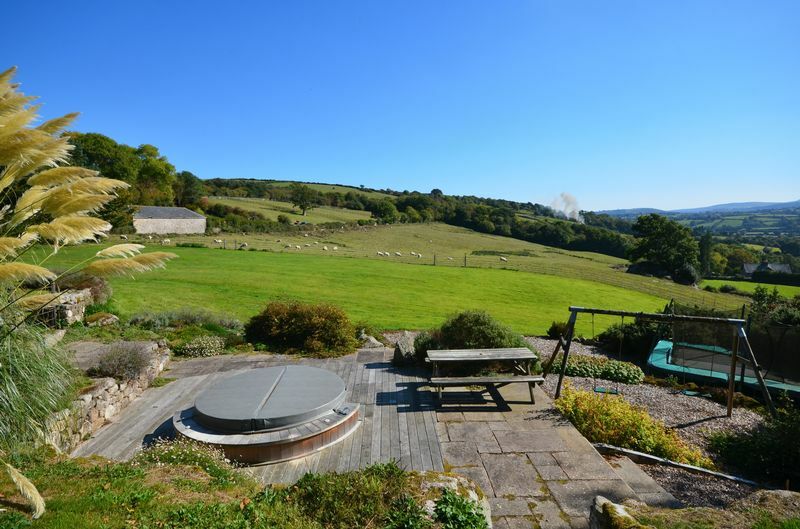 The lawn stretches down to the recently constructed iron railing fence which divides the garden from the field. At the north side of the lawn is a planted, mature shrubbery with colourful perennial shrubs and plants behind which is the boundary fence. To the northeast side of the house is a paved yard (34'x24'1"/10.36x7.34) with two granite sheds measuring 12'2x11'2"/3.7x3.4 and 11'11"8'/3.63x2.43. 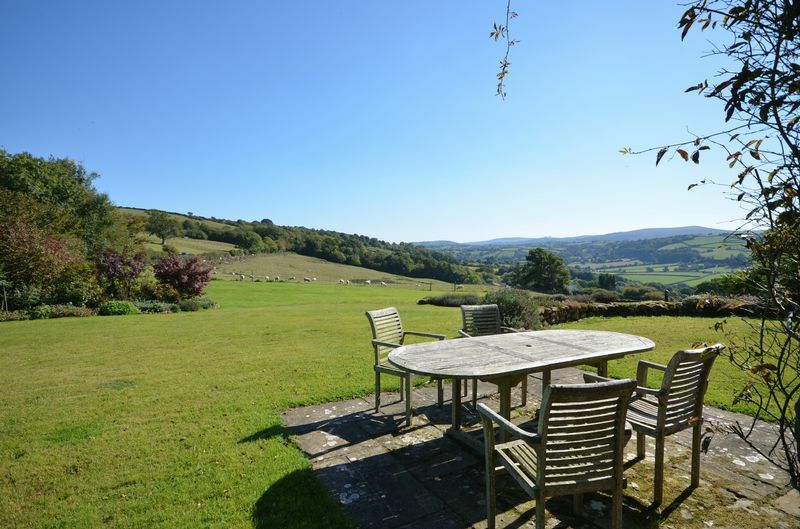 With an area of about 9 acres, the field drops gently away from Uppacott House affording the beautiful view from the house. 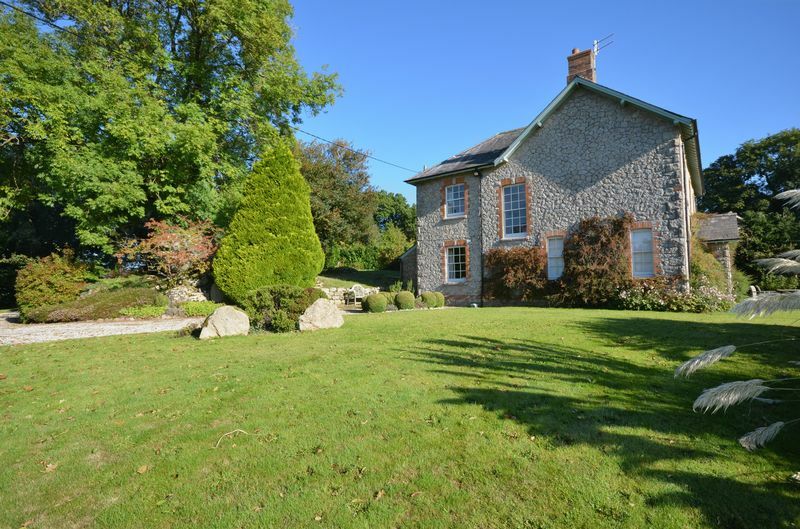 It is stock proofed and mostly well drained and has an ancient holly tree growing out of a granite outcrop. There are two vehicular access points to the field from a lower lane. Private water supply, septic tank drainage, mains electricity, oil by personal contract. From Fowlers drive down out of The Square towards the A382 and passing the primary school and fire station on the way out of town. At the first crossroads at Easton Cross drive straight across and up the lane for about a mile. At the first rural junction, which is Uppacott Cross, drive just a few feet past the junction and the granite gateway to Uppacott House is on your right.